The traditional WAN was architected for branch-to-datacenter traffic flows, not to efficiently support new cloud-driven traffic patterns. This year, more enterprises will adopt a “cloud-first” SD-WAN architecture designed to efficiently support their increasingly cloud-based application mix. 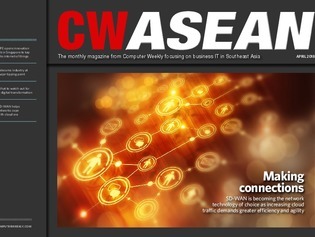 In this issue of CW ASEAN, we take a closer look at how ASEAN enterprises gearing up for this eventuality. IT leaders need to consider new performance indicators, adopt an embedded digital business model and build up an enterprise-wide digital platform to avoid digital deadlock.